I recommend using one color to cast on, then the opposite color to begin knitting the pattern. 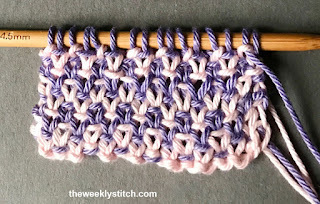 When binding off, use the opposite color that was used for the last row of the stitch pattern. Doing this for the cast on/bind off will prevent a chunk of color along the edges. 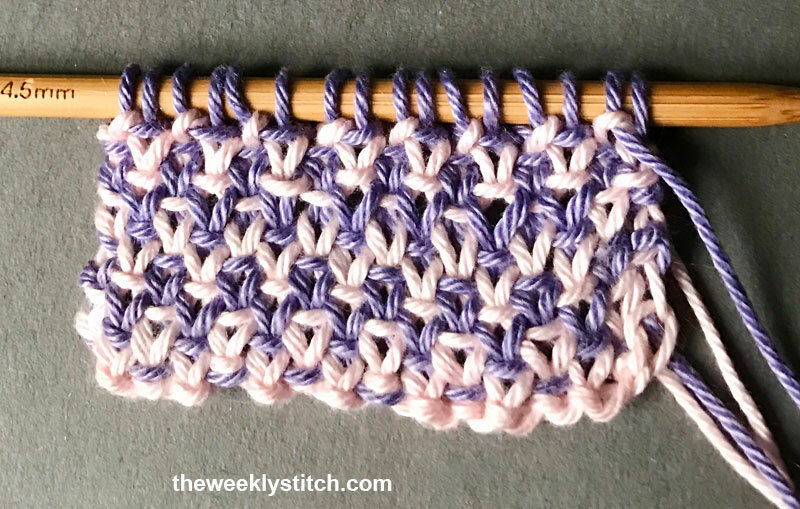 You can use 2 solid colors, or switch it up by using a solid with a variegated yarn.